At the time of this writing, we just entered the Advent season. If you didn’t grow up in church, Advent has become the 4-Sunday run up to Christmas. Advent means “coming”. It’s a time of anticipation among Christians for the celebration of Christ’s first coming, born as one of us. Advent has another special meaning for Gail and me. It reminds us of the beginning of a huge part of our family culture—Family Night. When our two oldest sons were young, Gail read about making Advent a special family time by having a weekly time to do some Christmas activity as a family. So, for four Thursday evenings, she prepared a special dinner. We sat in the dining room—we used the occasion to also work on table etiquette! After dinner, we did an activity such as reading the Christmas story, a Christmas craft, or Christmas light-looking. It was great. It didn’t take us long after Christmas to feel the void in our weekly schedule by that special couple of hours together as a family. And so, Family Night was born. We realized we didn’t have to wait until Advent next year. This was so good we needed to squeeze it for all its worth. I’ve written about Family Time in my ebook, 7 Weekly Habits To Supercharge Your Family This Week! What I want to encourage you to do today is to make this a part of your tradition. The best time to establish a weekly Family Time is…(drum roll)…THIS WEEK! Every week that passes by without it is a huge missed opportunity. Don’t wait for Advent, New Year’s, summer break, after the big project is done, or when the kids get older. The best time to start is NOW! Don’t overthink. Just start. Put in on the calendar. The key to making Family Time a weekly reality is making it a non-negotiable on the family calendar. Determine the best time to make this happen. We had our Family Nights on a weekday evening—usually Thursdays. But it doesn’t have to be a night. 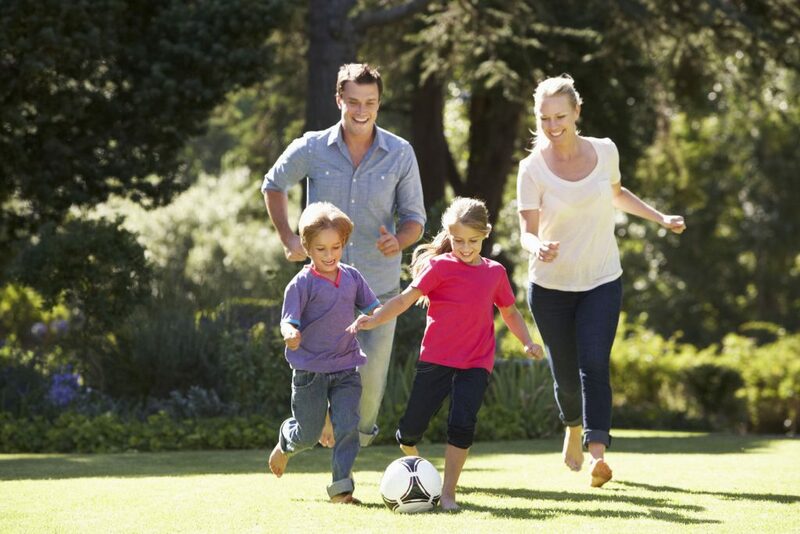 Choose your Family Time when it best works for your family, week after week. Then block that time out on the family calendar and personal calendars. The activity isn’t that important. Well, it should be fun but don’t obsess so much over what to do that it keeps you from starting. We took turns choosing what we’d do each week. It just had to be something we could all do together and it couldn’t cost any money. It’s not so much what you do that makes Family Time so valuable—it’s just having fun together that matters. It’s not a competition. You’re not going to be graded on this. You don’t have to out-do the previous week. Some Family Time’s will go smoother, be more fun, be more memorable than others. Just get started and enjoy the journey. The beauty of a weekly Family Time is you get a chance every week to just keep making it better. You’re building culture—not just memories. Honestly, I couldn’t name more than a few specific Family Nights. I’d have to read our journals to remember specifics. But it doesn’t matter. The win isn’t a great memory of a special Family Time. It’s the cumulative effect of hundreds of Family Times on your family culture that’s the real gold. Tick tock. Tick tock. Time is passing. Establish your weekly Family Time this week. For your good, tell me when you’ll have your Family Time this week in the Comment section below. You can thank me later! Question: If you have an established Family Time, when is it each week? If you don't, when will it be this week?! Share your answer in the comments below.